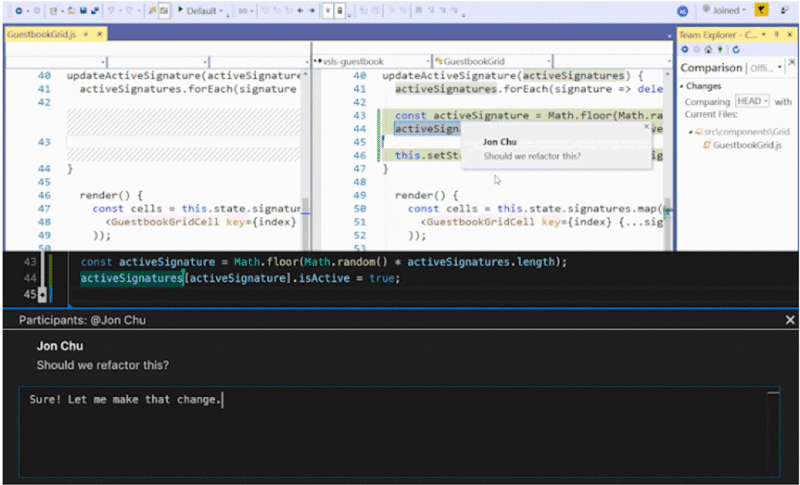 The newly launched Visual Studio 2019 brings many enhancements to the venerable IDE. Many features are iterative, but some represent completely new ideas (such as the Live Share feature that enables remote code writing collaboration). In this article, we’ll take a look at some of the Visual Studio 2019 highlights. Visual Studio 2019 release has quite a bit of UI and usability updates. First, there is a new open project screen to greet you when you first launch the new IDE. There is fast access to recent work in this screen as well as the ability to clone, open, or create a new project. The project template feature has been improved as well, and it’s now much easier to filter through the available templates to find the best match. The UI of Visual Studio 2019 has been updated. There’s a slightly different refreshed blue theme, and updates to the menu and title bar that increases the available space for code. The search bar has also been moved into the menu. It has improved accuracy when searching commands, options, and installable components. There are some general performance improvements to the IDE that makes it feel faster. Some services have been moved to the background which means you’ll get access to your solution faster. You can also configure specific projects to load when a solution opens (this removes a few manual steps that you might otherwise make). Another new feature in this release is a new visual health indicator that indicates your code status. This indicator is present in the document scrollbar, and it let’s you know if there are any issues, warnings, or errors in your code. It also comes with a one-click code clean up button that formats and applies any suggested fixes indicated by current settings, .editorconfig files, or Roslyn analyzers. 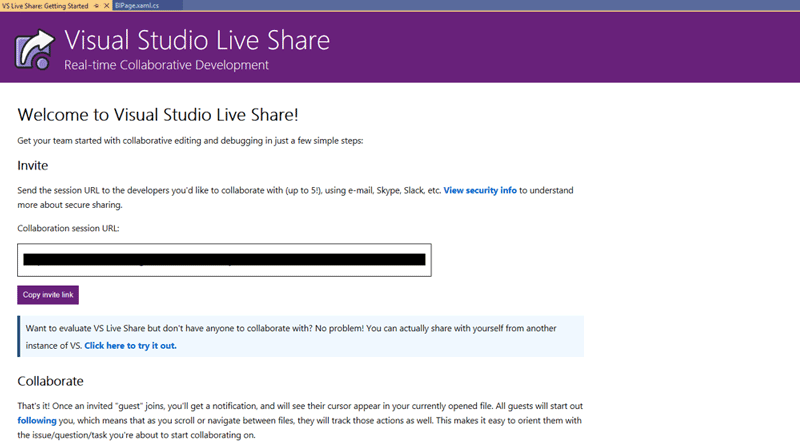 Live Share is an interesting developer service that let’s you share and collaborate on code development directly within Visual Studio. The feature is installed by default, and you can easily create a collaboration session (and shareable link) from the Visual Studio menu. Once you share this hyperlink, you’ll enter into a collaboration session where your teammate can read, navigate, edit, and debug the project you’ve shared with them. The process is easy, secure, and is great for allowing remote teams to work together. 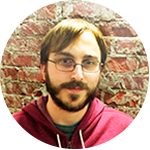 It will be quite helpful for team code reviews and any other peer coding scenarios. Microsoft has more details available here. There is also a new IntelliCode extension available for Visual Studio 2019 that helps augment the built-in Intellisense with machine learning. It trains across numerous open-source projects on GitHub, and it can deliver context-aware code completions, point out when developers aren’t adhering to their team’s coding style and patterns, catch and highlight potential code issues, and speed up code reviews by pointing out the biggest problems. 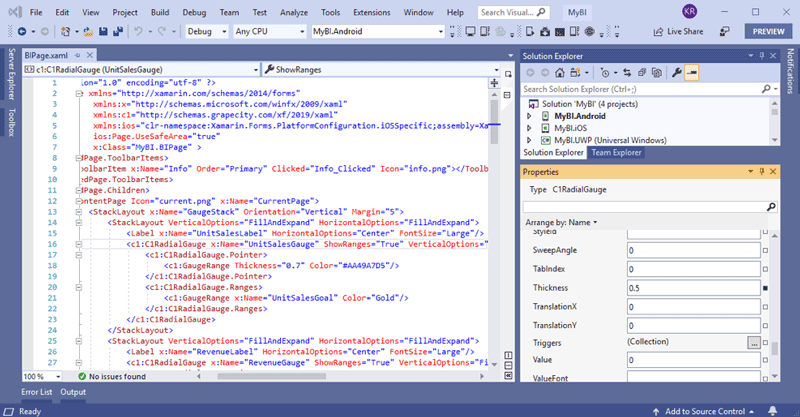 It works with C#, XAML, and C++, and it can even be trained using you own custom model for C#. Microsoft is also supporting building .NET Core 3.0 applications for any platform out-of-the box with this release. For .NET developers considering moving their WinForms and WPF applications to .NET Core 3.0 later this year, it’s recommended that you check out Visual Studio 2019. Right now, support is limited to the first two previews (though more will be coming throughout the year). There is support for running unit tests against projects that target multiple .NET frameworks (such as .NET Framework and .NET Core) which will help developers as they maintain and migrate apps into the future. Microsoft is also doubling down on a number of Xamarin updates for this release. First, they’ve made some changes to shrink the installation payload size and made improvements to the build and deployment time. This will have a noticeable impact on development, since it tends to yield an improvement of 20% - 30% shorter times. There is also a new fast deployment feature for Android to speed up redeployments when there are no changes to assets, resources, etc. between deployments. Another nice new feature is a XAML property editor that let’s you easily configure properties without writing more code. This is accompanied by numerous small improvements to the designers and previewers, as well as IntelliSense improvements when working with XAML in Xamarin.Forms. Finally, this release supports Xamarin.Forms 4.0 with its new features including new Shell project templates and a new CollectionView control. The Shell templates will help you design mobile apps with an improved look and feel, and the align closely with Material Design. This release also includes the new Xamarin CollectionView control. The Xamarin CollectionView loosely represents capabilities similar to the UICollectionView on iOS, and is significantly different from the more typical .NET CollectionView which is a data control. It provides a faster, more flexible alternative to the ListView control. The Xamarin CollectionView somewhat loosely represents capabilities similar to the UICollectionView on iOS, and is significantly different from the more typical .NET CollectionView which is a data control. 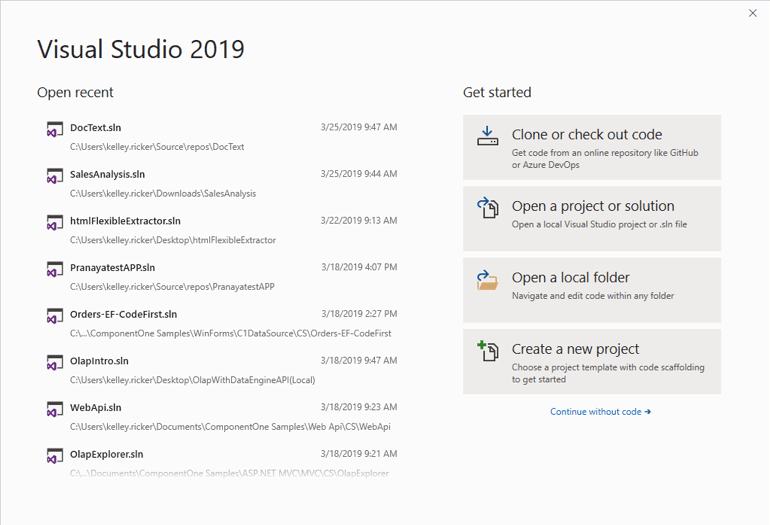 Many developers will be downloading and testing out the new IDE today, and we’re happy that all of our ComponentOne 2019 v1 controls have been tested for and support Visual Studio 2019. 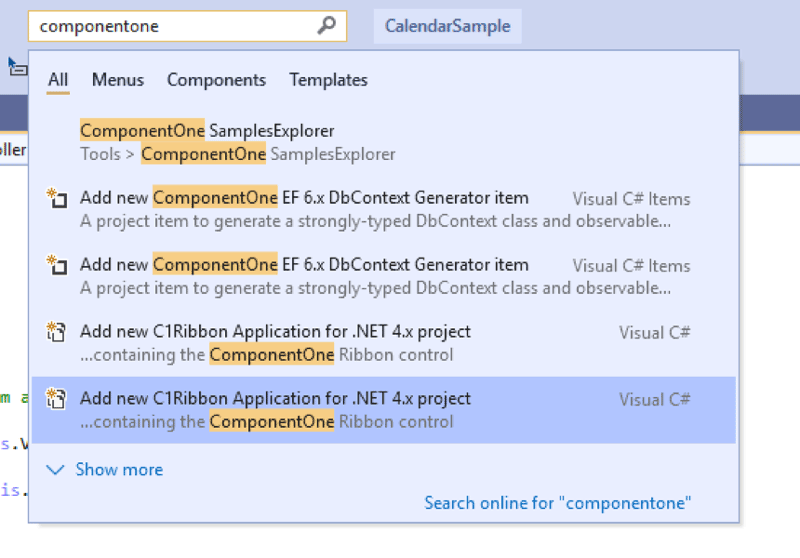 Check out the new ComponentOne 2019 v1 release, and feel free to leave any feedback for VS2019 and the new C1 release!